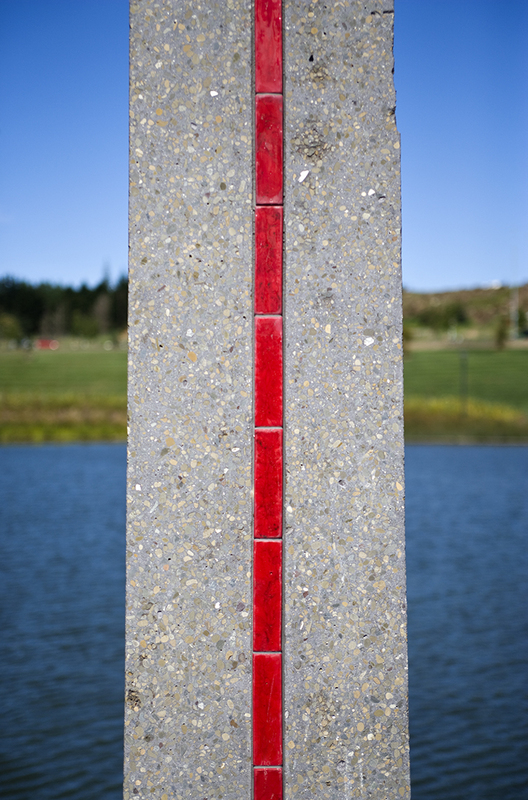 "Te Hokinga Mai - the Bridge of Return offers a space of reflection. 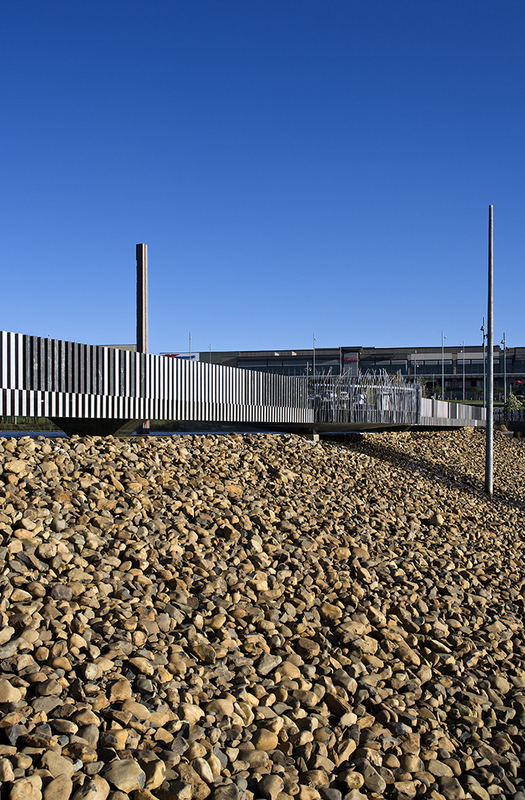 Daily rhythms of Rangi-nui, sky father, are tracked in the axis of the bridge, and visible in the shadows cast. 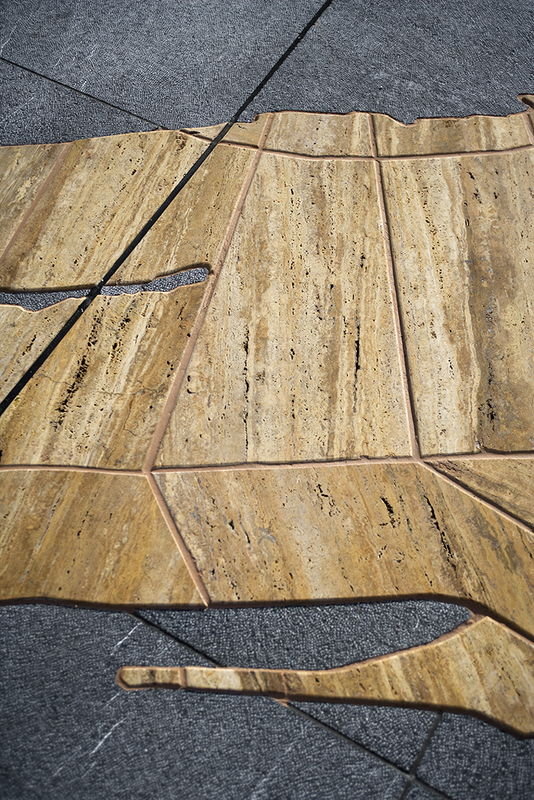 Patterns of stone echo the story of Albany’s geology. 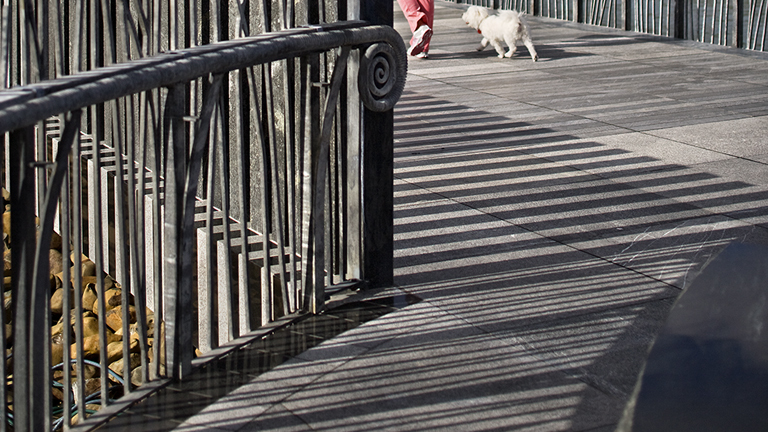 A long time ago, this place was an under-sea river, sculpting a bed of diverse stone. Now, many cultures come, crossing over together. 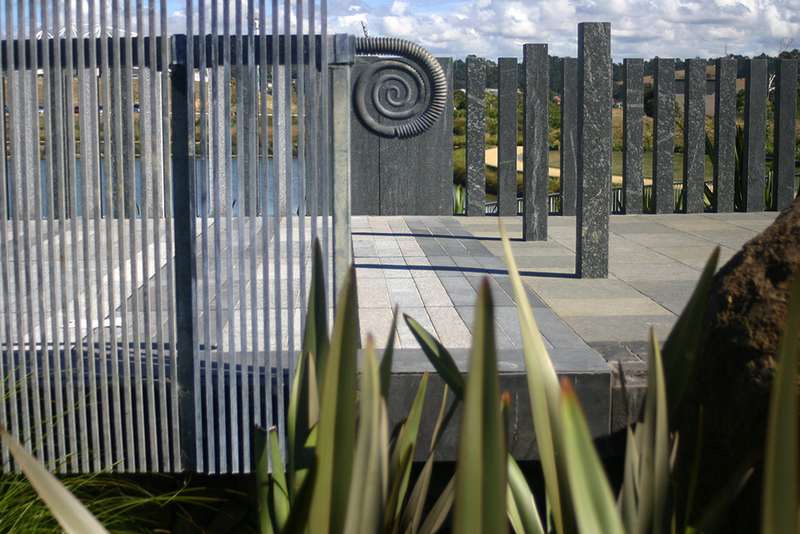 A large spiral is cast into the centre paving, mirroring this confluence of water and people, activating our continual regeneration within Papa-tū-ā-nuku, earth mother. Ordinary. 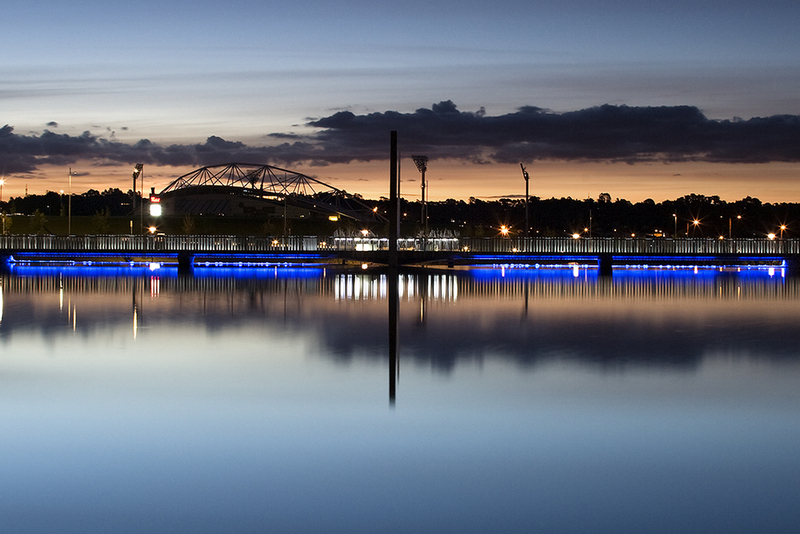 Extraordinary." 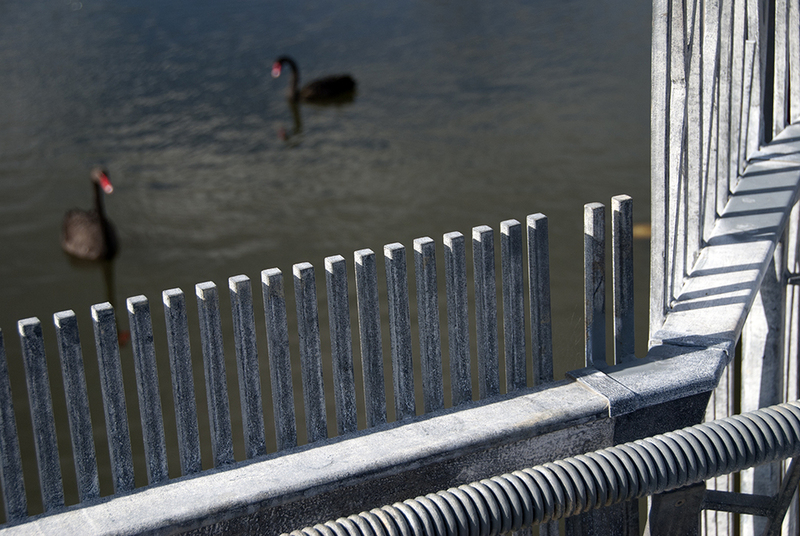 This footbridge and it's weir, aim to support the natural rejuvenation of the Albany Lakes water system. 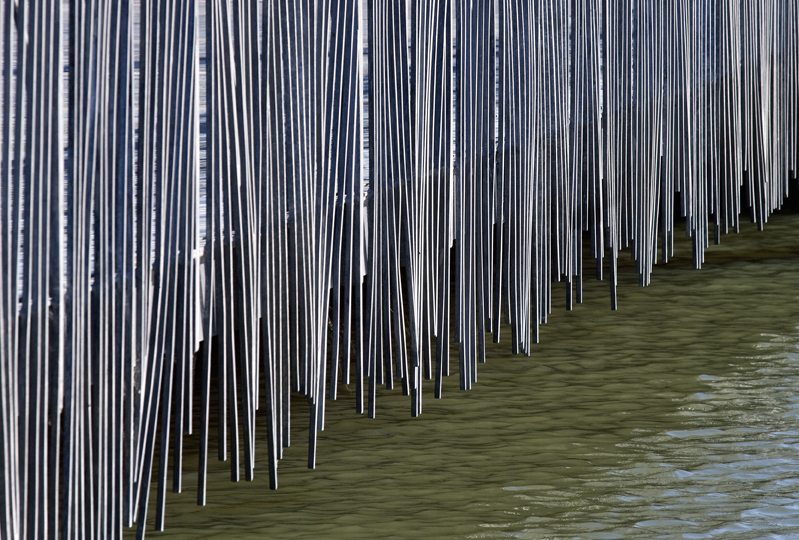 Providing a space for reflection, people are drawn into engagement with the patterns and rhythms of nature, encouraging our ‘return’ to harmonious, natural relationship. 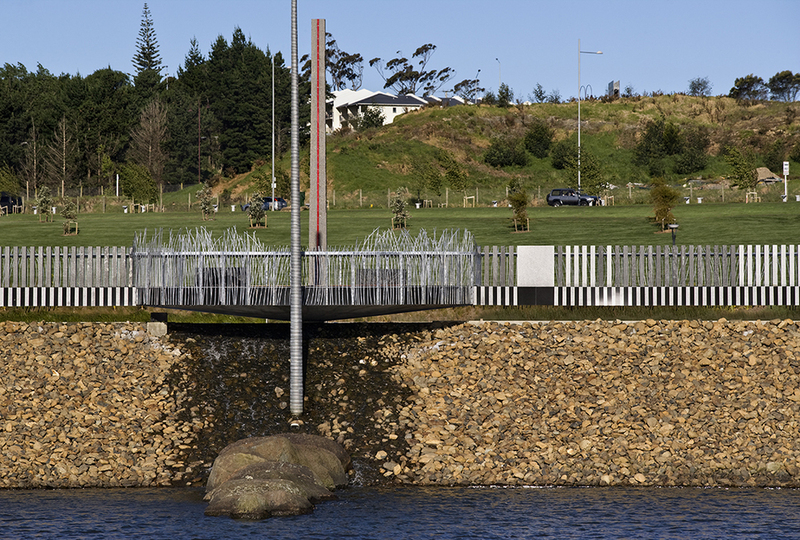 A collaboration of art, engineering, design and construction, Te Hokinga Mai is a prominent feature of the Albany Lakes Reserve, a newly developed civic park in Albany, Auckland. 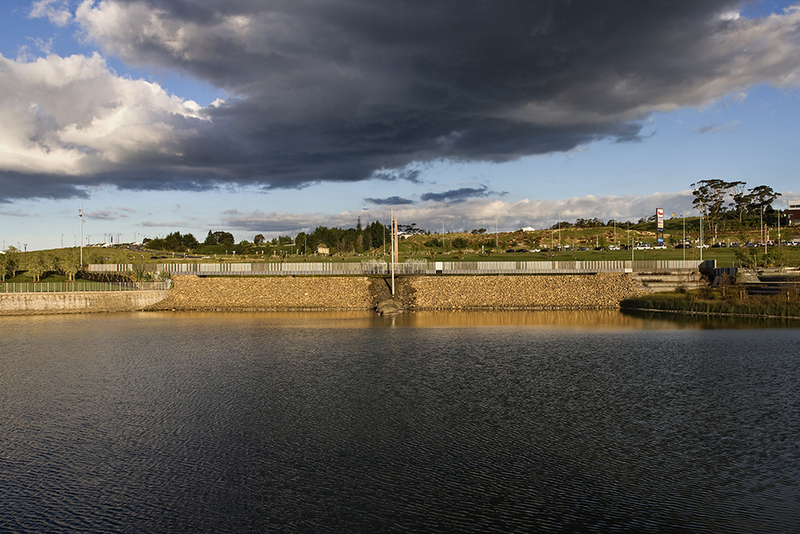 The bridge spans 57 metres over upper and lower stormwater lakes which cover 3.5 hectares of the 6 hectare reserve, and includes a 4.5 metre high natural stone faced bund. 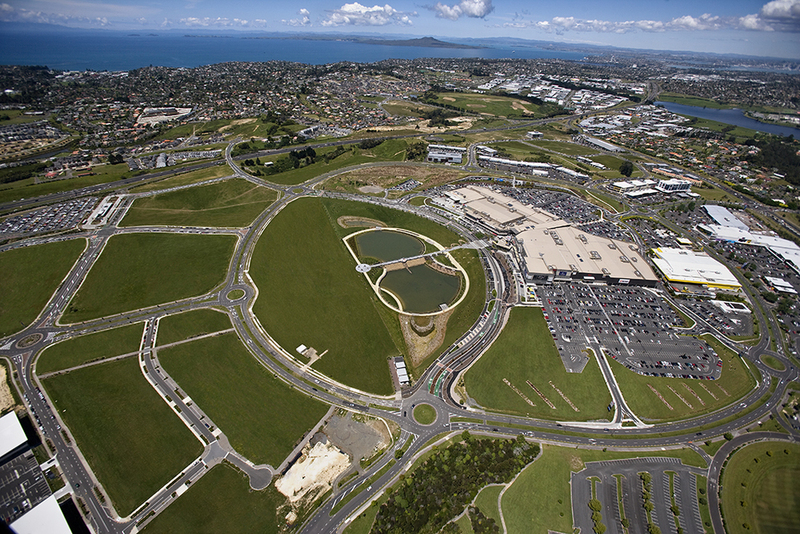 It provides a key pedestrian link north to south through the reserve, connecting the Westfield Retail and Entertainment Centre and the future planned Main Street including shops, entertainment, businesses and residential developments.